Madrid’s eclectic modern architecture blends seamlessly with her historic past to create a vibrant city, mindful of her history without being in thrall to it. Madrid’s tumultuous past underpins her exciting present. We first hear of Madrid in historic records, in the 9th century, when Spain was under Islamic rule. Emir Muhammad I commissioned a fortress to be built in the village of Mayrit. It is understood that the name, ‘Mayrit’ means ‘plenty of waterways’ and is a reference to its location on the banks of the river Manzanares. Mayrit or Madrid as it became known, was part of the Islamic world until it was conquered by Alfonso VI of Castile in 1083. In fact, during this period, as the Christians reconquered Spain, Madrid passed between Muslim and Christian hands a number of times. This explains the region’s mixed cultural heritage, and perhaps its cosmopolitan nature today. It was in 1329 that Ferdinand IV of Castile first assembled the Cortes Generales. This was the foundation of what would eventually become the Spanish Parliament. In the centuries which followed, Madrid grew, gradually moving towards the layout which we see today. The Plaza Mayor or ‘Main Square’ was established in the 13th century under John II. It was Enrique III who ordered the El Pardo Palace to be built so that the royal family would have somewhere suitably grand to stay when they visited. The city continued to grow over the centuries and in 1561, the decision was taken to move the court from Toledo to Madrid. In fact it did briefly move again to Valladolid in 1601, but five years later it returned to Madrid. This time to stay. 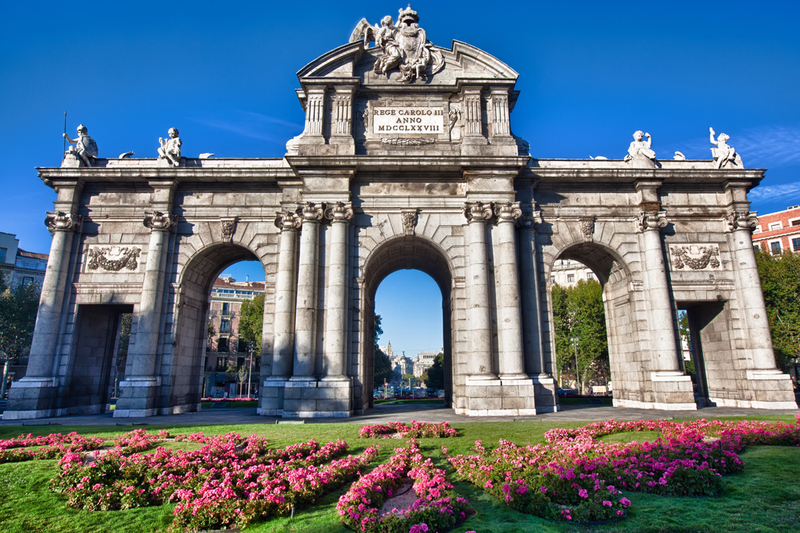 Madrid played a key role in Spain’s turbulent history of the 19th and 20th centuries. In 1808 the city rose up against French occupation, in a revolt, which resulted in much bloodshed. In effect, this was the start of the Spanish War of Independence. The city’s dramatic history continued in the 20th century. It was after the death of General Franco, as part of the Spanish Constitution, finalised in 1978, that Madrid was finally confirmed as the capital city of Madrid. 1979 saw the first democratic local elections in Madrid, through which the first city mayor was chosen and elected. 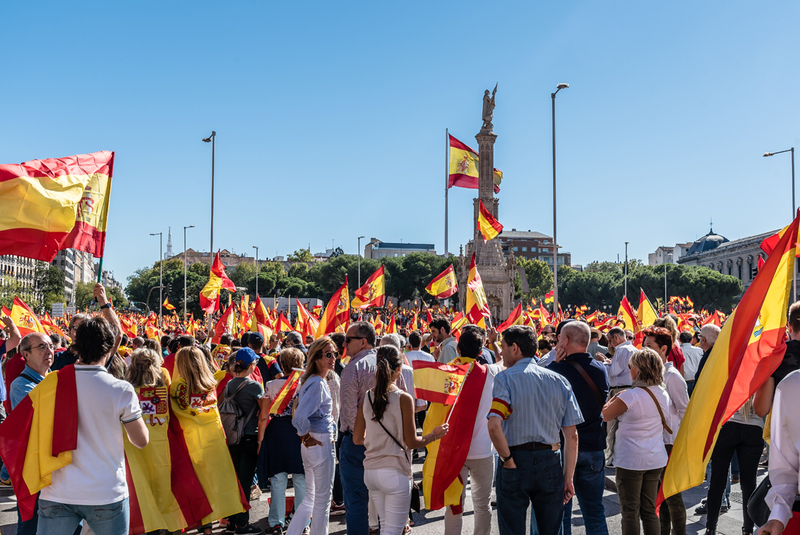 When we see the exciting, vibrant, modern city, which Madrid has become today, it is difficult to comprehend that it was so recently that she started on the path to democracy. Since this time, Madrid has made incredible progress, and is now considered to be one of the most dynamic and progressive of Europe’s cities. Madrid is a thriving modern city, which is a cultural and artistic hub, a centre for contemporary architecture and a prosperous commercial centre, which is home to people from all over the world. Today’s buzzing city of Madrid is a far cry from its humble beginnings as the village fortress of ‘Mayrit’.